8. 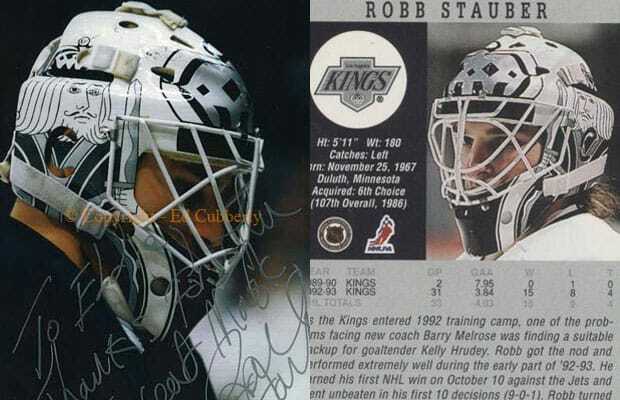 Robb Stauber, L.A. Kings. King of Spades mask designed by Ed Cubberly, 1993-1994. The mid ’90s Los Angles Kings were great because of their iconic jersey. Such a shame that they butchered the crown logo and scrapped the black/white/silver colorway. Rob Stauber always had a great mask, and the kings of spades playing card graphic was sick. Unfortunately Stauber's career was much more low card.